3 years & up. 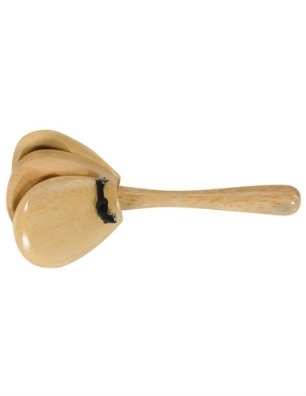 The addition of a handle makes this castanet easier to hold on to. To play, simply shake back and forth to produce a clicking sound.